Apple devices, particularly iPhones, are mostly known to produce good quality photos. IPhones in particular are great camera phones that you can take great pictures with. However, other manufacturers have been pushing their imaging technologies to the next level. In an effort to further enhance the imaging capabilities of iOS devices, Apple has recently acquired LinX Imaging, an Israeli startup specializing in developing better camera sensors for smartphones. The bid, already confirmed by Apple, was for $20 million. LinX is developing a multi-aperture camera for smartphones. The module is small enough to install in a smartphone, but offers the same capabilities as larger sensor cameras. It will not be surprising to see this technology being implemented in the next iPhone already, especially since the company has actually produced working imaging modules with the technology. The module can also be used in other devices, including tablets and ultrabooks. The recently launched MacBook was scolded for having only a 480p Facetime camera. The camera sensors used on Macs and iPads aren’t that great either. I surely hope Apple will change that with the new technology from LinX. “LinX cameras are significantly smaller than any camera on the market today, leading the way to DSLR performance in slim handsets,” says the official LinX website. The smaller size is achieved by using multiple lens, multiple-aperture setup mentioned earlier. Furthermore, LinX cameras don’t only capture 2D images. The multiple lenses actually gather enough data about depth and other spatial information to create a truly remarkable result. It eliminates artifacts even when the objects appear at a very close distance. The possibilities are endless, which is probably why Apple announced the acquisition this early. Apple doesn’t normally discuss acquisitions or what they are planning to do with the new technology they acquired; this is an entirely different case. Test results published by LinX are indeed impressive. Some of the features we can expect from the new iPhone camera are refocusing, better control over depth of field, background removal and even better autofocus in video mode. We can also see the camera module being used for 3D remodelling, 3D face recognition and many more. What will Apple actually do with the new technology? We just have to wait and see. It’s still a few months before the new iPhone is usually announced, so there are still a lot of time for the company to work with the people from LinX to produce great new features. 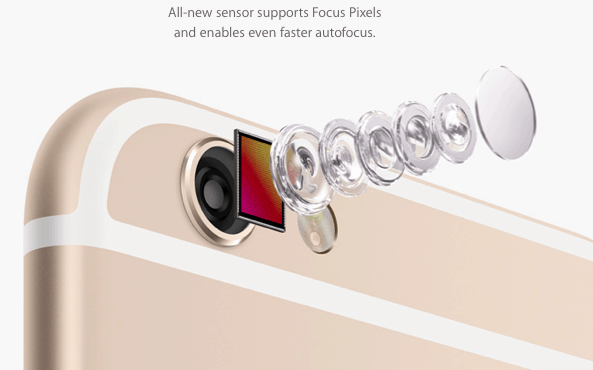 Based on everything that has been outlined so far, what do you personally think about the technology that Apple uses for their cameras? Let us know your thoughts in the comments section below.